No matter if you prefer Hitchcock’s classics or Eli Roth’s gruesome modern thrillers, there’s one thing all fans can agree on: characters in horror movies don’t make the best decisions. Whether they’re losing all bodily function whilst running through the dark woods barefoot, or following that giggling demon-child down a dimly lit hallway, it seems that most characters have the same M.O. when misfortune strikes: no strategy is the best strategy. While I can’t say with confidence that I wouldn’t also have a total brain meltdown if I were being chased by an ornery pack of the undead, I do know how important it is to come at every new challenge (in business AND in life-threatening situations) with a well-developed strategy. Here are six sure-fire ways to meet an untimely death in a horror movie, and how you can learn from them to build a better marketing strategy. 1. Split up from the group. I don’t know about you, but if there is a serial killer on the loose the last thing I want to do is leave the safety of the group. Similarly, every company should recognize that their marketing strategy is only as strong as the team they put behind it. While some companies may have done “just fine” handling their marketing on their own in previous years, the digital age is now making it imperative to have dedicated, specialized marketing personnel to help drive competition. Whether you outsource or build your marketing team internally, don’t forget – there’s strength in numbers. 2. Assume the killer is dead. If there’s one thing the Halloween franchise has taught us, it’s that horror movie villains are extremely resilient. Just when Laurie Strode thinks her years of turmoil have finally come to an end, her machete-wielding younger brother returns, against all odds, to wreak havoc once again. Just as characters should never assume that one swift blow to the head means they’re in the clear, marketers should never assume they get everything right on the first try. Landing pages, keywords, and calls-to-action should be reviewed every few months to see where they can be optimized for maximum conversion. Is that “Free Demo” call to action not yielding the click-rate you had hoped for? Try A/B testing with an image button instead to see if your engagement rate increases. 3. Forget to bring a weapon. If you’re going up against a 6’5” guy with a chainsaw, you better bring something better than a paring knife. While traditional outbound methods may have kept companies afloat in the past, a successful marketing strategy these days requires an arsenal of digital tools to stay alive. 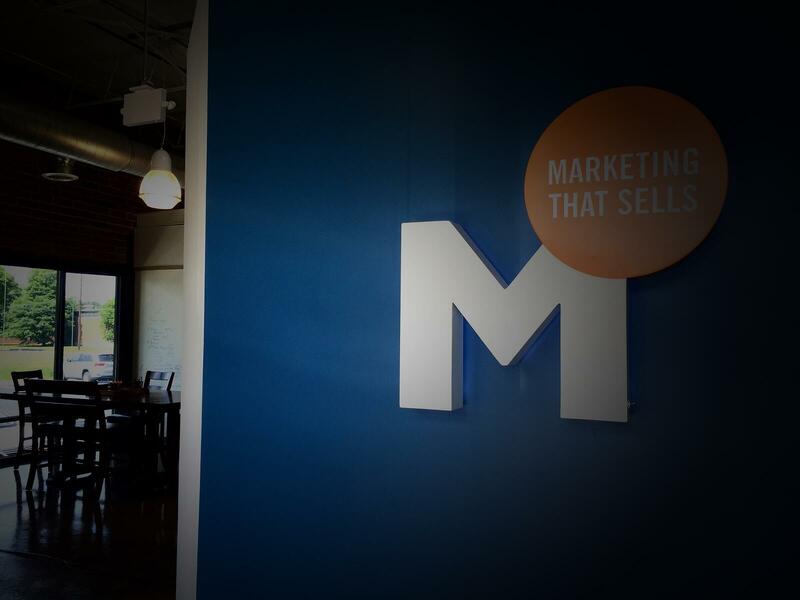 Marketing automation platforms like HubSpot and Pardot have redefined the way businesses can connect with and market to their ideal buyers, and are a key element of the inbound marketing revolution. As an agency, we are constantly reviewing new tools to help optimize our client’s marketing programs, as well as our own. 4. Drive an unreliable car. An essential element in the horror movie character starter kit is the ’87 Chevy Silverado in desperate need of a transmission replacement. Just as the high school prom queen has finally managed to reach her truck and jam the key into the ignition, the engine won’t turn over and she’s dragged back into the depths of the dilapidated farmhouse. Your website is typically one of the first things a prospect will check out in their evaluation stage. If you treat your web presence like a horror movie character treats their get-away vehicle, it’s likely your prospects will move on to your competitor’s site faster than you can say “torture chamber.” Clean, modern design, clear brand messaging, and good SEO are all ways to ensure that your company’s unique value proposition is front and center when your ideal buyer reaches your homepage. 5. Accidently kill someone with unstable family members. If you’re a character in a horror movie, chances are good that that guy you and your friends accidently killed in a hit and run has a psychotic relative with a penchant for revenge. When developing your marketing strategy, doing a thorough background check on your competitors, your ideal buyers, and current trends in the industry is crucial to your success. If you fail to identify strategic gaps in the current market or ways to differentiate yourself from your competitors before you release a new product or service in to the wild, it may come back to haunt you. 6. Don’t watch where you’re going. One of the most common ways a horror movie character meets their demise is because they turned to look behind them when they should have stayed focused on where they were headed. Just as poor Kimberly’s fate is sealed as soon as she trips and falls on her way out of the woods, your marketing plan will never be successful if you don’t put measurable, attainable goals behind it. If you want to design an email campaign to promote your company’s upcoming webinar, you should set a goal for how many sign-ups you want to get, and develop a plan for follow-up with any leads your campaign generates. If you want to be a good marketer, and also have a better chance of staying alive should you encounter a deranged psychopath with a machete, use these tips to help shape your survival strategy going forward. A good marketing strategy can make all the difference. Check out some of our client success stories below to see the results.